Smoke that thunders - is the description of the powerful beauty of Victoria Falls. It has been said that all people are arriving to see the beautiful and magnificent views of this wonderful waterfall. 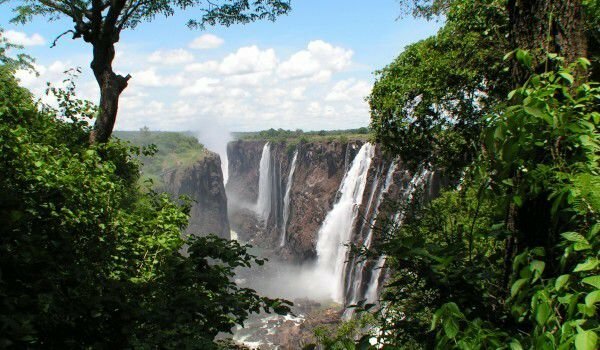 The very name of Victoria Falls had been given by the Scottish explorer, David Livingstone during one of his trips in the region during the years of 1852-1856. He is the first European that managed to reach the shore of the water pool. The list of world natural heritage of our planet recognizes both names of attraction - Mosi-oa-Tunya and Victoria. 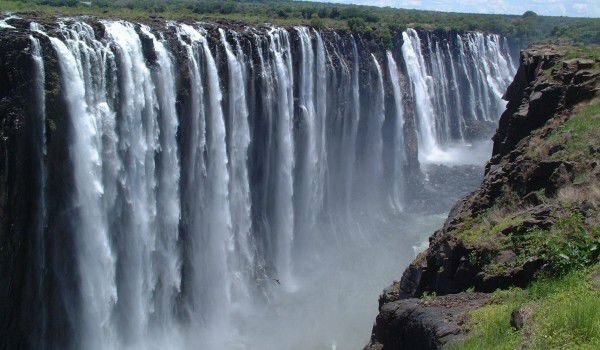 Strategically located Victoria Falls lays on the border between Zambia and Zimbabwe and is about 18 km south of Livingston. Victoria Falls is part of two national parks and is considered the largest waterfall in the world. It is 1.7 km wide and has a height between 90 and 107 meters. The view is incredible allowing you to see how the water falls in the valley and, from an appropriate distance one can see the entire waterfall. Tourists can observe the mighty waters from up to a distance of 64 meters. At the height of the rainy season, about 550 million cubic meters of water pour down the basalt gorge. Among other places to see are the so called boiling pot, the Eastern Chief threshold and specially built in 1900, the Bridge of Victoria Falls. The bridge gives quite a full view of the sea’s green waters of the river and the emerald rainforest. For tourists, there are particularly attractive opportunities such as, flying the biplane or helicopter over the drop of the majestic waters. The pilots offer an exciting aerial tour upstream of the Zambezi, and then down into the gorge of Victoria Falls. For the brave there is even an opportunity to get closer by raft to the bubbly water at the base of Victoria Falls. Victoria Falls offers various options for water sports, rock climbing and skiing.